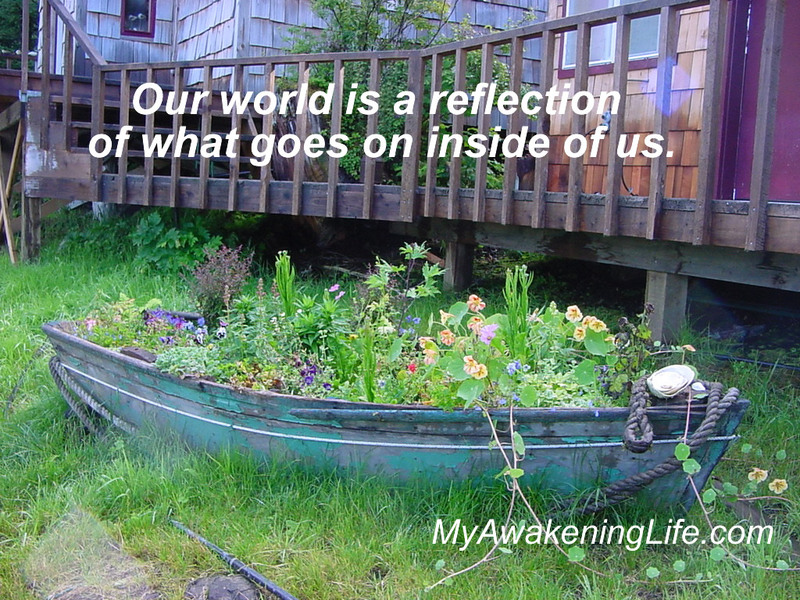 Our world is a reflection of what goes on inside of us. Life is like a garden. See the beauty where we are planted, even if we are planted somewhere that feels very foreign to our own nature. 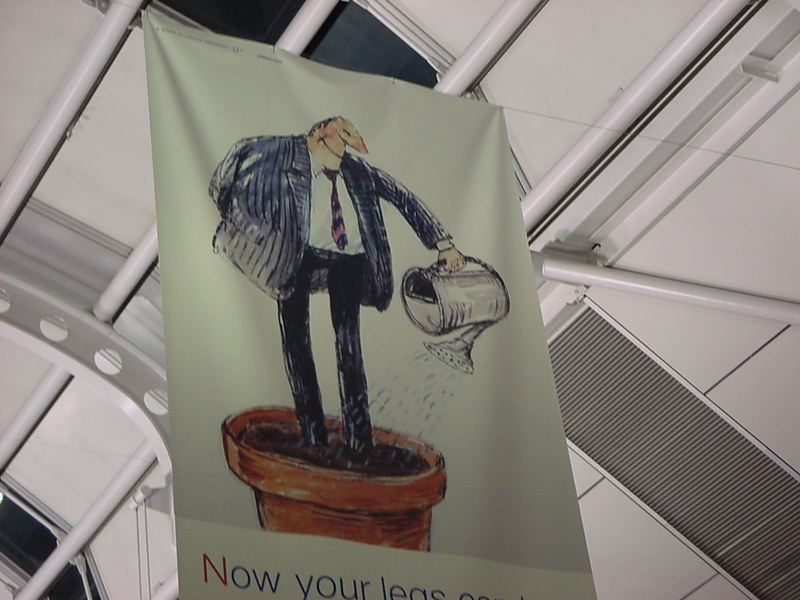 (I couldn’t resist taking this photo at an airport some years ago. About the photo: I just love this photograph for the shear use of imagination and not allowing this massive container to be discarded on the beach or side yard, dormant and unproductive. I also love all things re-purposed. (Check out my Pinterest Board.) This photo was taken in the tiny town of Port Protection on Prince of Wales Island. It is located at the end of the northern road system on the Island. The only way you can get there is by boat. Well, I guess you could swim but those waters are c-c-c-cold, even in the summer. There are only about 50, maybe less, people that live there, so everyone knows your business. Ahhhhh! The pleasures of small town life. … including the way we deal with others. If I don’t spend a lot of time doing what brings me inner peace, I’m not an asset to society … to put it gently. What goes on inside us is what we feed it. These pictures are great food. Thank you Dennis! I agree …. what goes on inside us is what we feed it. Well said! Never underestimate the power of the subconscious!! !